New A-League team Western United will play up to 16 games at Kardinia Park over the next two years, the stadium’s trust has announced. 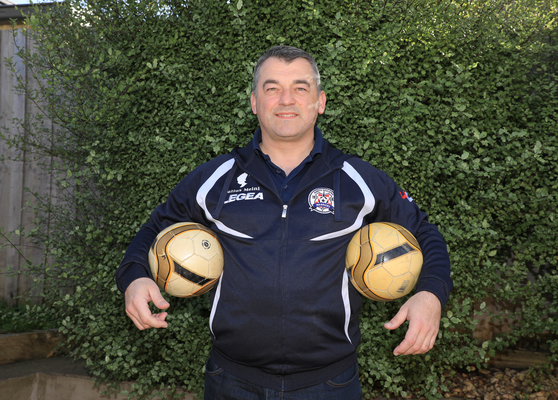 Local soccer identity Josip Zilic said the move would promote the ‘beautiful game’ in Geelong. “It’s fantastic,” the North Geelong Warriors Football Club operations manager said. He urged Kardinia Park Stadium Trust to push for a Matildas game next if Australia was successful in its current bid to host the Women’s World Cup. “Can you imagine a 40,000-seat stadium with all supporting Australia versus Brazil in a World Cup … in Geelong?” he said. Mr Zilic welcomed the games after previously criticising the trust’s “under use” of the stadium during summer. He would continue to scrutinise the trust as governments “threw hundreds of millions of dollars” at the stadium while local soccer clubs struggled for grants, he added. Mr Zilic said the matches could draw more fans than the stadium’s previous Melbourne Victory games, which have had crowds as low as 5207. City of Wyndham fans living closer to Geelong, local Victory fans “crossing over” and hometown “sentiment” would boost crowds for Western United games, he said. But the stadium’s seating, set up for AFL, was “not a good viewing platform” for soccer, Mr Zilic said. Western United’s A-League entry provided more pathways for young Geelong players chasing professional careers, Mr Zilic said. But he warned the league must carefully manage these opportunities to avoid diluting the talent pool. With Victory and Melbourne City having youth sides in the second-tier National Premier League, Western United would likely follow suit, he said. Kardinia Park Stadium Trust chair Michael Malouf welcomed the up to eight games per season as the latest “evolution” of the “premier” regional sports facility in Australia. “To house the new Victorian team in the growing Hyundai A-League is good for our stadium, good for the club and good for the people of Geelong and surrounds,” Mr Malouf said. The trust would continue to maintain the needs of stakeholders including the Geelong Football Club, he said. Previous articlePolice search for missing 15 y.o.